When I was first contacted by Igal of Gulaza, they were just starting out. They sent me some sample music to listen to, from an album in the making. it was like nothing I have ever heard. These were Yemenite Women's songs, and they felt mystical and captivating. We decided to shoot in The pool of Arches in Ramle. An ancient place that was contructed over 1200 years ago. It felt fitting. The plan was for the band to be in a boat on the water and for me to shoot from the old wooden deck. 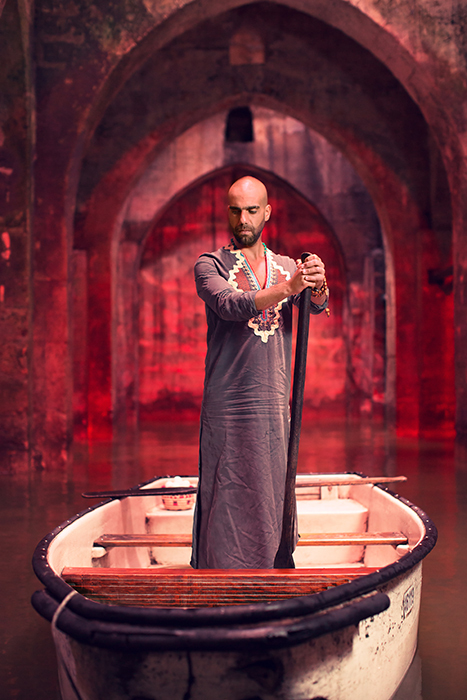 We constructed an elaborate lighting scheme to try and get a lightstand with a softbox to float in a boat nearby. After Shooting this way for a while, I noticed that in the distance, at the deeper end of the pool there was a shaft of light created from a hole in the ceiling. 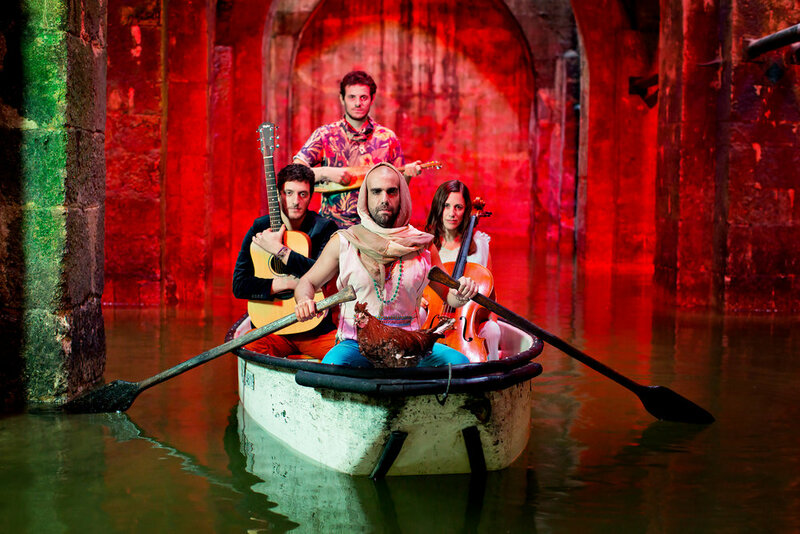 The band made their way to that spot, navigating the shallow waters with their instruments in their laps. After a few attempts to position themselves exactly in the right spot, we got the shot. Almost immediately after our photo shoot, the band really started taking off, with shows all over the world, from Germany to China, Back to Israel and then on to Austria, norway and on and on, Bringing exotic sounds to exotic places.